Advantages: Detailed history of Russia’s second generation high-speed interceptors. 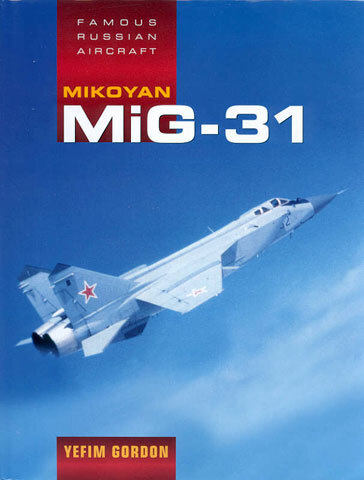 Starting yet another series on Soviet/Russian military aviation under the Midland Counties Imprint of Ian Allan Publishing is the title Mikoyan MiG-31. This time we are treated to a hard-cover volume with a greater than usual level of colour photography making this volume a must have for those with an interest in aviation of the former Soviet Union. Moscow based, Lithuanian born author Yefim Gordon again displays his vast contacts, collection of photographs and reference material in this new work on the MiG-31 Foxhound. Even though this heralds a new series, the look and feel of the volume is similar to Gordon’s earlier contributions to the Aerofax and Red Star series which are also published by Midland, which ensures its quality. This book covers all the ground one would expect of it. 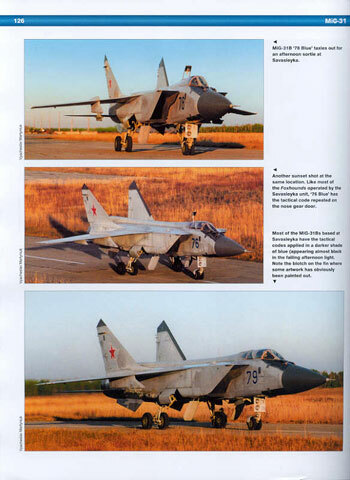 Genesis as a follow-on to the MiG-25 Foxbat leads to a description of the design and development of the Foxhound. Gordon follows with an account of the Foxhound in service and then an extended comparison of the Foxhound with its obvious US equivalent, the F-14 Tomcat. This strikes me as a possible apples vs oranges comparison as one is a long-range land based interceptor and the other carrier based. The only obvious connection is the large integrated radar/fire-control system and long range missiles in the AA-9 AMOS and AIM-54 Phoenix. The actual concept of operations of the two is very different leading to some possibly flawed conclusions. Concluding, this book and of great use to modellers, particularly those who have invested in the Collectaire 1/48 scale kit, is a section on structural design, systems and armament. This is the section where the reader will find the large clear detailed shots of such areas as the cockpit and airframe that will be of immense use in creating a replica. Yet again Yefim Gordon and Ian Allan Publishing have provided the ultimate reference on a significant Russian military aircraft. The book will serve both fans of Russian aviation and modellers well.